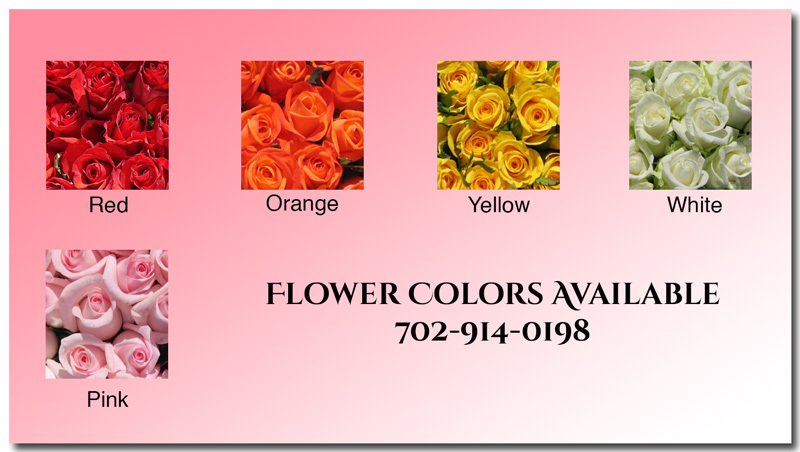 ~ Please select your Rose Color from the available colors above. ~ Flowers are Complimentary and do not change the price of the package if not used. ~ You may bring your own flowers, Please let us know.